Heath is a premier residential community located along the shores of Lake Ray Hubbard in Rockwall and Kaufman Counties. In 2015 Heath is the Number 1 DFW community with under 10,000 people and the "Best Suburb to Live in" as given by Niche.com. In the state of Texas of top 100 suburbs, Heath ranks number 27! A wide variety of homes can be found in Heath and the housing density averages one home per acre of city. Heath is a community of more than 7,400 residents, a high percentage of which are college graduates. The City of Heath is committed to preserving a special way of life where rolling hills and the sparkling lake provide a serene backdrop for beautiful neighborhoods and distinctive homes. Heath is a place where you can ride your horse in the morning, golf in the afternoon, and sail in the evening! All of this just 25 miles from Dallas! The luxurious lakefront estates are a huge draw for many professionals working in Dallas. These large prestigious homes are very affordable as compared with Highland Park, University Park, Preston Hollow, and Gleneagles in Plano just to name a few. And now with the George Bush Tollway, even professionals in Plano, a 22 minute drive, will want to take advantage of this opportunity. Heath’s growing trail system and two municipal parks, including one along the lake, contribute to an enjoyable lifestyle. First-class recreational opportunities are also offered by Rush Creek Yacht Club, home to Olympic Gold Medalist sailors, and the award-winning Buffalo Creek Golf and Country Club. In Buffalo Creek there is also the opportunity to be a member of the Swim and Tennis club with no extra expenses. The $49 monthly HOA fee covers it all! Heath has fabulous Rockwall ISD schools. Two elementary schools serve the area, Pullen and Amy Parks. The secondary schools are Cain Middle School and Rockwall-Heath High School. 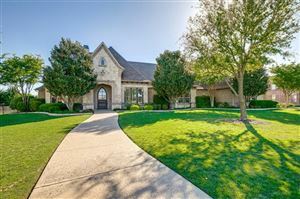 To view any Heath home, call Sandra 972-772-1549.